Situated near the airport, this resort is within 3 mi (5 km) of Surfside Beach, Shimmo, and Madequecham Pond. Nantucket Lightship Basket Museum and Old Mill are also within 3 mi (5 km). 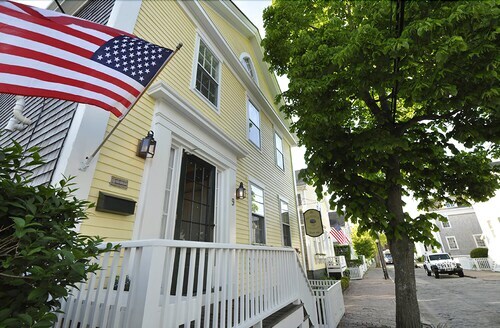 Situated in Nantucket, this romantic bed & breakfast is steps from First Congregational Church, Whaling Museum, and White Heron Theatre. Theatre Workshop of Nantucket and Nantucket Atheneum are also within 5 minutes. 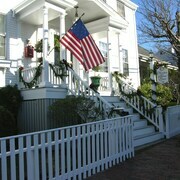 Situated by the ocean, this bed & breakfast is steps from White Heron Theatre and Whaling Museum. Children's Beach and Greater Light Garden are also within 15 minutes. 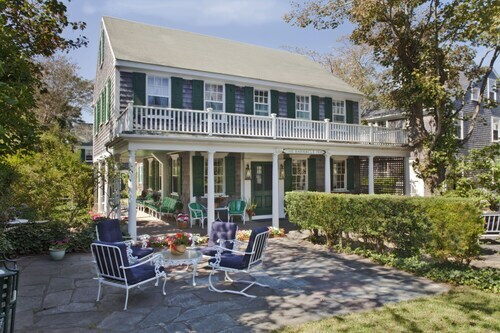 Situated near the beach, this guesthouse is steps from Whaling Museum, First Congregational Church, and White Heron Theatre. Nantucket Atheneum and Dreamland Film and Performing Arts Center are also within 5 minutes. Located in the heart of Nantucket, this luxury hotel is steps from Whaling Museum, Children's Beach, and White Heron Theatre. Nantucket Atheneum and Jetties Beach are also within 15 minutes. 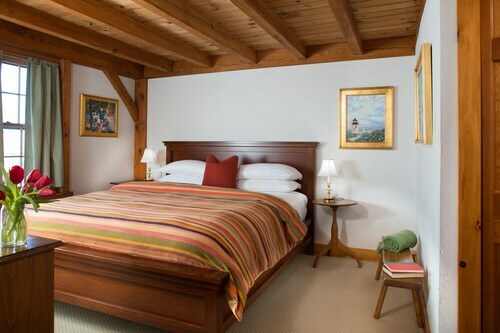 Situated near the beach, this luxury hotel is within a 10-minute walk of Children's Beach, Whaling Museum, and White Heron Theatre. First Congregational Church and Dreamland Film and Performing Arts Center are also within 10 minutes. 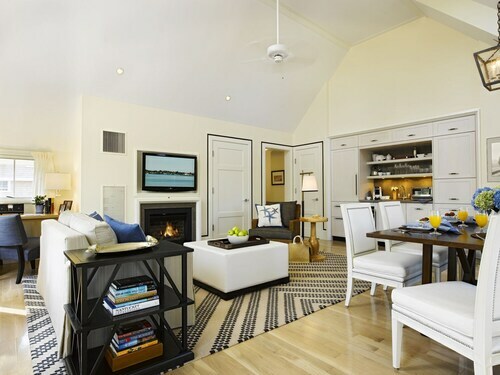 Nestled on the beach, this Nantucket hotel is within 1 mi (2 km) of Squam Head and Coskata-Coatue Wildlife Refuge. Great Point Light is 3 mi (4.8 km) away. How Much is a Hotel Room in Nantucket? 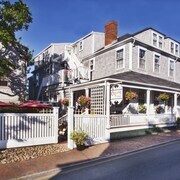 Hotels in Nantucket start at $125 per night. Prices and availability subject to change. Additional terms may apply. Greetings from Nantucket! This picturesque island 30 miles south of Cape Cod is a vacationer's playground, drawing celebrities and families to its shores. Whether you're into grabbing some rays at the beach, sailing in Nantucket Sound, or enjoying a bite or a drink at the island's many restaurants, a trip to Nantucket is sure to be fulfilling. Nantucket is a popular destination, especially during the summer months, but Travelocity can help you find Nantucket hotel deals quickly. Nantucket might be a small island, but it has plenty of entertainment for tourists. Its attractions are easily accessible via bicycles and rental Jeeps, perfect for heading to the island's beaches and grabbing some sun. Madaket Beach is known for its sand dunes, while Surfside Beach has plenty of crabs and seals. 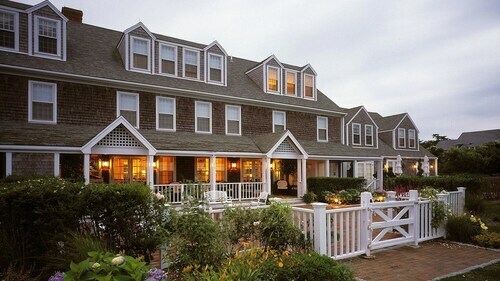 Luxury hotels in Nantucket can be found at Siasconset Beach, which has beautiful sand and roses. Take the bus downtown to the Whaling Museum, then buy a few keepsakes at one of Nantucket's many shops. The afternoon can be spent sailing around the island or driving up the beach to the Coskata-Coatue Wildlife Refuge, where you can enjoy a beautiful sunset while watching seals swim. 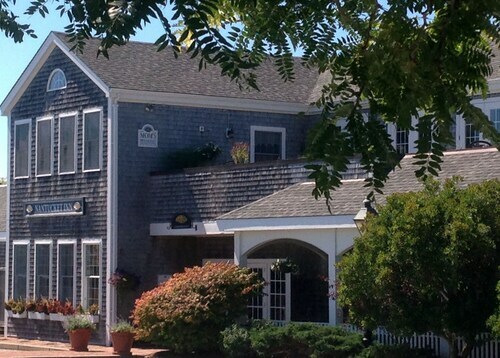 Lighthouse-hopping is another experience convenient to many hotels in Nantucket. A trip to Nantucket isn't complete without enjoying a lobster roll at a downtown restaurant. If Mexican is your thing, head over to Madaket Beach to dine on delicious tacos and quesadillas -- most notably, their lobster quesadillas. Make an accommodation at one of the many hotels near Miacomet Golf Course to get a few rounds in at the world-famous course before enjoying some grilled swordfish at the nearby restaurant. Are you looking for the ultimate East Coast getaway? Travelocity is the place to find the best deal at Nantucket hotels so you can enjoy all the attractions the island has to offer. Very well Maintained, friendly staff! Jennifer is an excellent host and very knowledgeable about the island and Ian if very kind as well. This was a lovely, quaint, picturesque bed and breakfast. 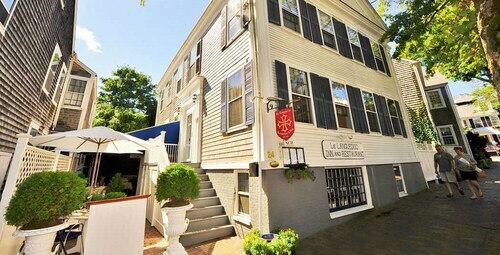 For those who want a true "Nantucket Experience", this is the place to stay. Susie and her staff went out of their way to make sure that all of our needs were met. Just a note, though - there are no TVs in the rooms and depending upon the room you book, you might need to go down the hall and share a bathroom with other guests. Location is a #10. Beautiful hotel! Excellent breakfast! Walking distance to airport! Shuttle to town and beach every half hour! So awesome! 5.0 Great place on Nantucket! 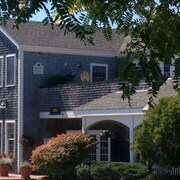 The White Elephant was a great place to stay while on Nantucket. They have very nice complementary bikes and all the staff is super friendly and helpful. Great experience! I highly recommend it! Good complementary breakfast. Great location. Luxurious Harbor View "millie" Cottage! Walk & Bike to Everything!